In a perfect world, we would personally transport our children to and from school every day. But personal and professional responsibilities require that we entrust the well-being of our children to others, including school bus drivers. Having your children travel to and from school on their own can be a truly nerve-wracking experience. We want to ensure the safety of our children at all times and turning over that responsibility to another person is difficult. When you do trust your child to a school bus driver, you have a right to expect your child will safely arrive at school and back home. You reasonably expect them to be safe and secure, though that is not always the case. Accidents can happen while children are embarking, disembarking or riding in a bus. 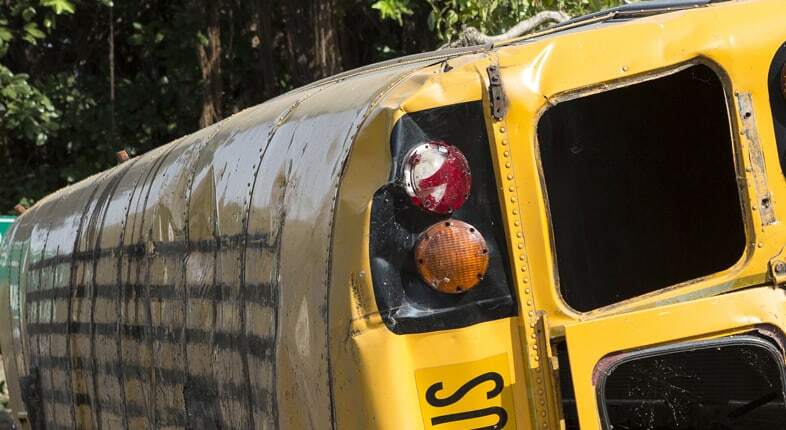 If your child was injured in a bus-related incident, turn to a knowledgeable Los Angeles school bus accident attorney at Taylor & Ring for help today. Finding evidence of these circumstances is only the first part of a bus accident claim for damages. The nature of these cases places them under strict guidelines and filing requirements. Trust our knowledgeable Los Angeles bus accident injury lawyers to properly guide you through the process of your case. Most schools are classified as public entities, so the state of California implements specific filing deadlines for instituting a claim. Time is of the essence in these cases, and failing to meet these tight deadlines can keep you from ever seeking compensation for your child’s injuries. That is why is it imperative to contact a personal injury attorney as soon as possible after the injury-causing accident. While we diligently work to secure a compensation award, our lawyers also care about the wellbeing of your child. We understand how traumatic and difficult the litigation process can be, especially for young children. So, we work to protect them from the stress of these intimidating proceedings as much as possible. If an acceptable settlement is possible, we will diligently pursue this option. But our skilled attorneys are also willing to litigate your case if it becomes necessary to secure the compensation your child deserves. We know how devastating it must feel to be told your child was in a bus crash, and we are committed to resolving the situation as comprehensively as possible. There are countless reasons your child’s school bus accident may have occurred. At Taylor & Ring, we are determined to find out how it could have been prevented and who was negligent in their responsibilities. You can rest assured that no matter what the circumstances were, we can help you find answers. Call our office at 310-776-6390 or complete our contact form to schedule a free consultation to learn more about your options and discuss your case with a Los Angeles child passenger safety attorney.